This is a truly lovely book. From the dustjacket that folds out into a map of the author’s favourite spots along the Thames to the gorgeous photographs of the ‘fragments’ of the book’s title, this is indeed a publication to treasure. 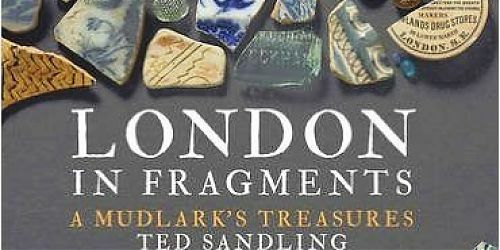 Ted Sandling’s new book beautifully illustrates his foreshore finds; among them flint flakes, oyster shells, clay pipes, worn sherds of pottery and glass – items familiar to those who visit the foreshore – and interweaves the images of the artefacts, both ancient and modern, with tales from the river, and beyond. From the humblest floor tile to shiny dress buttons, from wig curlers to pickle jar pieces, every fragment has a story to tell. 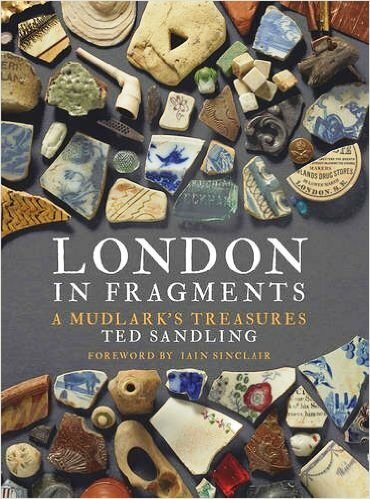 This book is a great companion to any foreshore exploration, and also has a useful section describing the ‘do’s and don’ts’ of mudlarking – a big thank you to Ted for including a recommendation to join the FROG for those who would like to find out more! The book will be published in early September and you can pre-order it here. You can also follow Ted on Instagram.